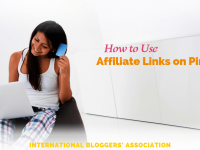 Are you looking to monetize your blog with Influencer Networks? 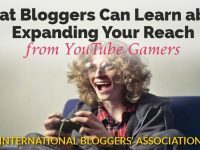 Today we have a great guest post from Amanda Cross who is an expert on Influencer Marketing. Amanda’s tips will have you standing out from the crowd with your next influencer pitch! Go ahead and ‘PIN’ this image so you can find these great tips for your next sponsored post pitch! 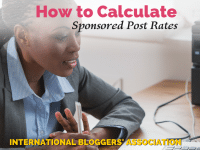 A great way to make money as a blogger is to utilize sponsored posts. Before you start pitching brands directly, a lot of influencers first utilize influencer networks. Influencer networks, while they pay less than a direct pitch might, are a great way to get your feet wet when it comes to sponsored posts. Do you know the problem with influencer networks? Most are overly saturated with tons of influencers which makes it hard for your profile to stand out. How do you make your profile stand out so that you get noticed by the right people on sponsored post sites? I am going to go in-depth on doing just that today. 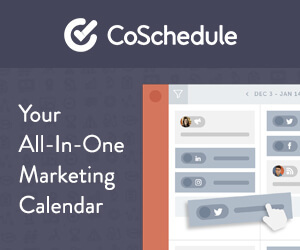 Your profile is critical when it comes to standing out on sponsored post sites. 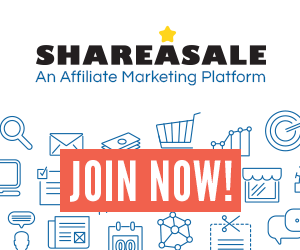 Profiles make all the difference on sites like TapInfluence or Izea that share very few sponsored opportunity details with the public and instead reach out to influencers directly. Earlier in the summer, I was paid $200 for a sponsored Instagram post all because I had a demographic that a brand cared about and a filled-out profile on TapInfluence. I did not apply to this sponsored post; the opportunity fell into my inbox through working diligently on my profile. As much as I hate to say this, sponsored sites are vain, but aren’t we all? Your profile picture is key to helping you stand out online. You need to look friendly, confident, and on brand with your profile picture. Now that you have them hooked with your profile picture, it’s time to follow through with words. After all, you will be sharing a lot of words about them with your audience, so you need to hook them in with your profile. Why they should spend their advertising dollars on you? What makes you and your audience unique and special to them? What will they get out of a partnership with you? Talk about your blog, the topics you write about, audience demographics, etc. You don’t want to bore them with your life story, but you don’t want to leave them wanting more either. 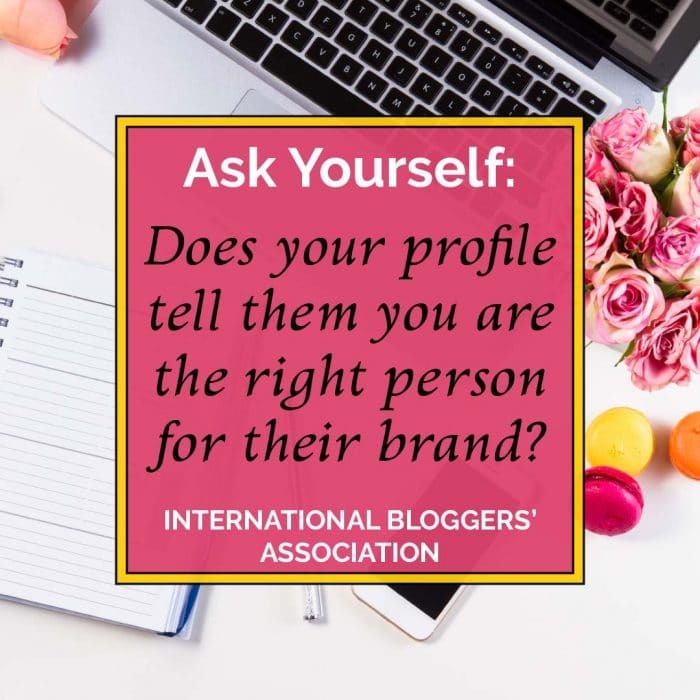 You want them to come away from your profile feeling satisfied, and you want them to know that you are the right person to represent their brand. Filling out your profile is critical, especially for sites like Find Your Influence where brands come to you instead of you coming to them. You never want to miss opportunities you apply for because you forgot to update your profile. Just to name a few. 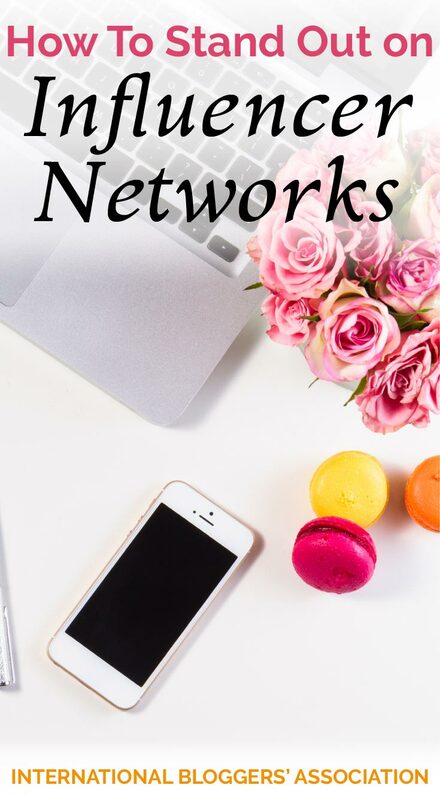 Not all networks have options for the above, but most do because companies are often looking for a specific set of people. So, they may be looking for people who are pregnant or people who just got married. When your profile is up to date with your life changes, you have an advantage that will potentially help you land more sponsored posts. Certain networks allow you to add pictures and links to your profile. If you are not currently producing sponsored content, you can still create content like you are. Most sponsored post networks are looking for your ability to produce stellar branded images and writing. Write a few posts that are not sponsored that include high-quality pictures and storytelling in them. Then, include those links on your profile if you can. To stand out, you need to know your audience. So many people want to produce sponsored content, but they have no idea how their audience behaves or who their audience is. When you get to know your audience and what they have to say, you can make a better impact and provide the sponsored content that they respond well to. Google Analytics is a free tool that you can use to provide some great analytics on people who visit your site (what computer or mobile device they use, their age, their gender, and what they are interested in are a few demographics you can find out.) You can also uncover some basics on the pages they view, what their exit pages were, and how many pages they viewed. Google Analytics is a must for any blogger in my opinion. Mouseflow is a tool that has a free version for 100 recordings per month but otherwise starts at $29 a month for 10,000 or fewer recordings per month paid month-to-month. I use the free plan now, and I think it can provide an interesting insight into the people who visit your blog. Mouseflow is a recording software that records your audience and their movements while they are viewing the blog. Then you can log on to Mouseflow and see how your readers are interacting with your content. This can help you understand more about your audience than simple Google Analytics numbers. You can see their entire visit from start to finish and page to page to understand what your audience likes and doesn’t like about reading your blog and using your site. This information is critical when you are putting together a detailed pitch because you will have a better understanding of how your audience digests the content that you put on the internet. It gives you more analytics about your audience. You can never have too much information about who your audience is and what they do. It gives you tons of great retargeting capabilities. Many brands are starting to put money behind influencer content. Having a pixel installed on your blog gives you a leg up because you and influencer networks can use the pixel to spend advertising money wisely by retargeting readers who have read your blog in the past. Last, but not least, one of the best ways to know your audience is to ask your audience. You can depend on Facebook and Google Analytics all day, but your best bet will be to take some time to design a survey and ask the most pertinent questions to your audience. Ask as many open-ended questions as you can. Why? Your audience is forced to give you more in-depth answers to the questions you want to know. Now, let’s talk about one of the most important parts to standing out on influencer networks—creating your pitch. Companies are beginning to realize that product reviews just don’t cut the mustard anymore. Instead, brands want stories. They want you to wow your audience with a post that is handpicked for them that just so happens to make mentions of the brand’s product. You need to walk the line between being a salesperson for this product and being the blogger that your readers know and love. In the last section, I went into detail about how you can get to know more about your audience. Utilize that information and sprinkle it into your pitch. When it comes to sponsored content, brands want to be able to visualize the content that you will be writing for them. If they cannot visualize it, it will be hard to convince them to put advertising dollars behind it. Gone are the days where you could just share an ill-researched pitch with brands and hope to get picked. If you are not creating solid pitch plans, there are tons of bloggers who are doing so. Get meticulous and make sure that you can follow through on the plan you created. Go here for more tips on crafting the perfect pitch. If you still aren’t sure how to stand out, look to other people who have stood out to brands before. Check out the sponsored content that those networks share on social media. What do they have in common? Take some time to find content that was shared by other people in the network. If you want to see the content that people on SocialFabric are sharing, it’s easy; you can see all sorts of approved sponsored posts on social media using the #CollectiveBias hashtag. Check out the hashtag on a platform like Twitter where you can easily click to check out links you find interesting. What are those people doing that you could be doing? Think back to your favorite influencers. What do they do that makes you like them so much? What about their storytelling draws you in so much? Your goal with this exercise isn’t to copy other influencers; it’s to gain inspiration from them. What lessons can you learn from them that will help you create better unsponsored and sponsored content? Last, but not least, keep trying. If you take nothing else from this article, I want it to be this. Getting better at sponsored content creation takes time. When I first started creating sponsored content, I had no idea what I was doing. I am still learning more each day about being an influencer and standing out on platforms like SocialFabric, TapInfluence, and Clever. Influencer networks are gigantic, and it can be hard to be the handful of people that stand out. You must realize that you won’t get every sponsored post opportunity. To be honest, you may not want every sponsored post opportunity you could ever get. You want to be selective, and you want opportunities that will truly resonate with your audience. You will get better at picking and pitching influencer networks the more you do it. The worst thing you can do is quit trying just because you get a few (or a ton of) rejections. Take your rejections, learn the lessons from them, and discard the rest. I hope that today’s article about standing out on influencer networks was helpful for you. Influencer marketing isn’t going anywhere anytime soon if influencers keep adapting and changing with the minor tweaks in the system. It is important that you continue to learn and grow your knowledge of influencer networks and how they operate. What is your best advice for standing out on influencer networks? I would love to know your thoughts in the comments below! 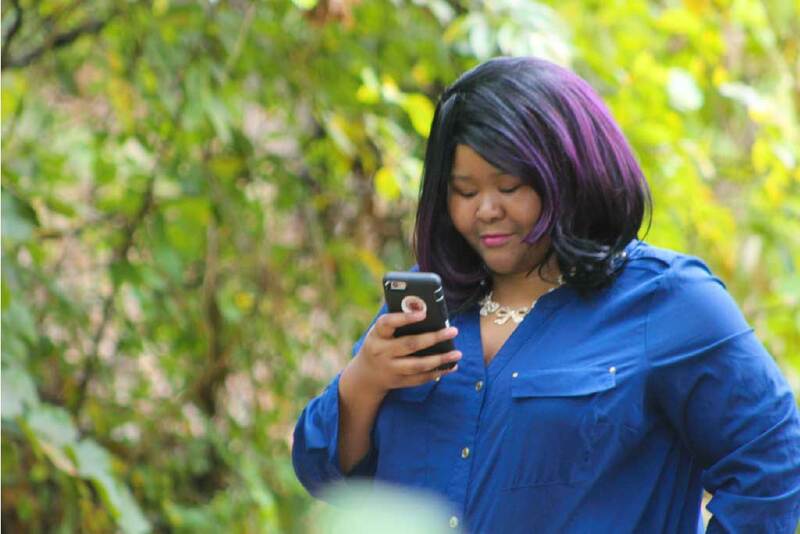 Amanda Cross is a blogger and influencer from Arkansas. Through her blogs The Happy Arkansan and Amanda Cross Blog, Amanda has helped thousands of people become better and happier students, millennials, and bloggers. 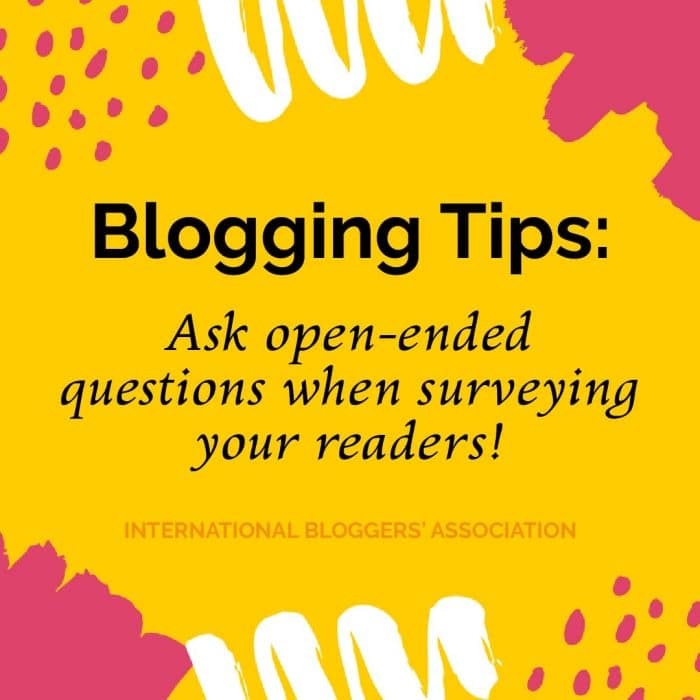 You can find more of Amanda’s blogging content on Amanda Cross Blog where she has written extensively on topics like Pinterest, sponsored posts, and freelancing. If you want to get more information on sponsored posts, check out the five-part series that I did on sponsored posts in August.